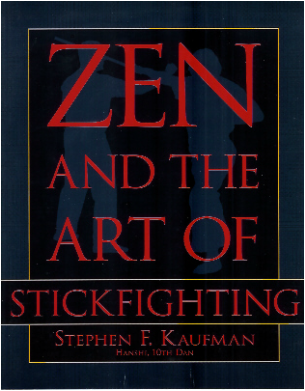 In Zen and the Art of Stickfighting you'll learn the fundamentals of the ancient, universal art of stick fighting. 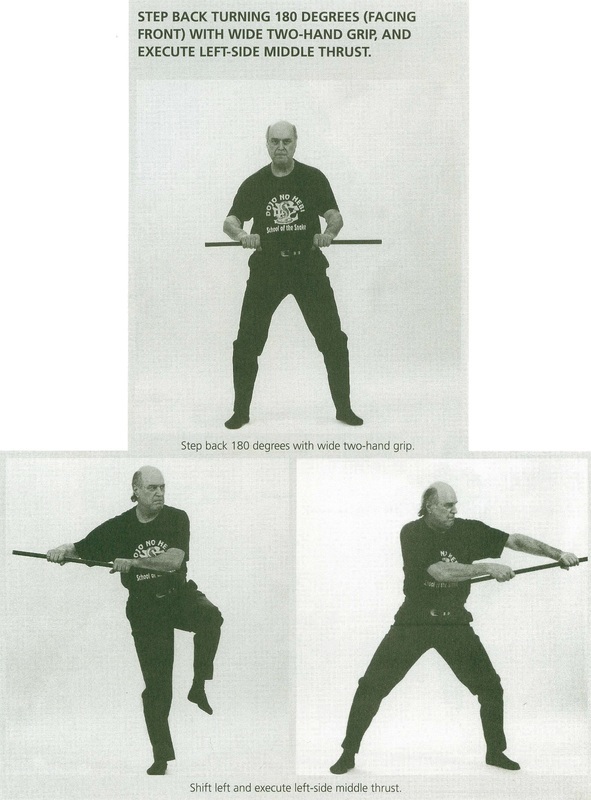 This practice book offers step-by-step instruction from a martial arts expert with more than five decades of experience. You'll begin with the process of selecting a stick and learning to wield it properly, move on to basic strikes and strategies, and finish up with more advanced techniques that have been proved effective against single and multiple armed and unarmed attackers. Every technique, clearly illustrated with photographs, emphasizes maximum effect with minimum effort. Zen and the Art of Stickfighting shows you how you can avoid victimization, beginning right here, right now. It's easy, legal, and effective—so why not get started today? Step back turning 180 degrees (facing front) with wide two-handed grip, and execute left-side middle thrust. ﻿Acknowledged as a true Founding Father of American Karate, I was elected to the title and rank of Hanshi, 10th Dan, the most prestigious accomplishment in the martial arts world, by international peer associations in 1991. My martial arts system is recognized by leading world martial arts master to be one of the most realistic warrior methods in the world. I have received countless awards and honors for my work, including the Platinum Lifetime Achievement and Platinum Martial Arts Pioneer Award denoting 50 years of service to the arts by significant organizations. I am the author of the best-selling interpretations of Musashi's Book of Five Rings, Sun Tzu's Art of War, as well as Lao Tzu's The Living Tao, Ultimate Self-Defense, Self-Revealization Acceptance, and The Sword in the Boardroom, which focuses on business management based on honesty, integrity and morality for contemporary negotiations. I speak with true understanding of the lessons taught by the ancient masters and focus on the immediate needs of groups. My work is considered essential study for individuals and organizations interested in progressive management/motivation development that includes life enhancement skills.